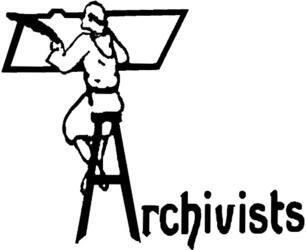 Academy of Certified Archivists (ACA) - Supports and promotes fundamental standards of professional archival practice. American Institute for Conservation of Historic and Artistic Works (AIC) - A national membership organization of conservation professionals. Its members include conservators, educators, scientists, students, archivists, art historians, and other conservation enthusiasts in over twenty countries around the world. Archive-It - A web archiving service to harvest and preserve digital collections. A service of the Internet Archive that works with non-profits, schools, governments and others to crawl and archive sites and pages they specify. ArchiveGrid - Connects you with primary source material held in archives, special collections, and manuscript collections around the world. You will find historical documents, personal papers, family histories, and more. ArchiveGrid also helps researchers contact archives to request information, arrange a visit, and order copies. Also see ArchiveGrid Blog. ARMA International - Association serving more than 10,000 information management professionals in the U.S., Canada, and over 30 other nations. ARMA International members include records and information managers, MIS and ADP professionals, imaging specialists, archivists, hospital administrators, legal administrators, librarians, and educators. ARTstor Digital Image Library- The ARTstor Library's initial content includes approximately 500,000 images covering art, architecture and archeology. ARTstor's software tools support a wide range of pedagogical and research uses including: viewing and analyzing images through features such as zooming and panning, saving groups of images online for personal or shared uses, and creating and delivering presentations both online and offline. Berkeley Digital Library SunSITE - Builds digital collections and services while providing information and support to digital library developers worldwide. Berkeley Law Scholarship Repository - Showcases the research and scholarship of the law school community, a service of the Berkeley Law Library. Calisphere - University of California's free public gateway to a world of primary sources. More than 150,000 digitized items - including photographs, documents, newspaper pages, political cartoons, works of art, diaries, transcribed oral histories, advertising, and other unique cultural artifacts - reveal the diverse history and culture of California and its role in national and world history. Calisphere's content has been selected from the libraries and museums of the UC campuses, and from a variety of cultural heritage organizations across California. See list of contributing institutions. Cambridge Digital Library - While parts of the Library's manuscript collections have already been published in print, microfilm and digital formats, it is now building a substantial online resource so that its collections will be more accessible to students, researchers and the wider public. The Foundations of Faith Collection will include important works from many religious traditions, particularly Judaism, Islam, Christianity and Buddhism. The Library's faith collections are breathtaking. They include some of the earliest Qur'anic fragments on parchment, the first known Qur'anic commentary written in Persian, an important selection of devotional works and mystical treatises and an outstanding collection of theological works including the unique extant copy of the Kitāb al-Tawhīd by al-Māturīdī. The Library has a collection of over 1000 manuscripts in Hebrew covering a wide range of texts; Bibles, commentaries, liturgy, philosophy, kabbalah, literature and legal documents. Most of these are in codex form thought there are also scrolls and fragments; some date back to the earliest collections in the Library. The oldest manuscript in the collection is a copy of the Ten Commandments written on papyrus, and thought to date from the 2nd century B.C. The Library also holds the world's largest and most important collection of Jewish Genizah materials, including the Taylor-Schechter Genizah Collection - 193,000 fragments of manuscripts considered by many to be as significant as the Dead Sea Scrolls. The Foundations of Science Collection will focus on original scientific manuscripts, beginning with the papers of Isaac Newton and his contemporaries. Cambridge University Library has very strong collections in the history of science. In addition to our Newton collections, the Library holds the papers of, among many other famous scientists, Charles Darwin, Lord Kelvin, Adam Sedgwick, J.J. Thomson, Ernest Rutherford, James Clerk Maxwell and Sir George Gabriel Stokes. The Library holds the archives of Cambridge's famous Cavendish Laboratory and is also the repository of the Royal Greenwich Observatory archives, which includes the papers of the Astronomers Royal and the Board of Longitude. CAMiLEON Project - Developing and evaluating a range technical strategies for the long term preservation of digital materials. CAMiLEON stands for Creative Archiving at Michigan & Leeds: Emulating the Old on the New. Emulation has been proposed as a digital preservation strategy that would enable obsolete systems to be run on future unknown systems, making it possible to retrieve, display and use digital documents with their original software. An apparent advantage of this approach is its potential to capture the 'look and feel' of digital objects as well as their intellectual content. Emulation as a preservation strategy raises many issues that the project will evaluate. Digital Preservation Coalition (DPC) - Organization working on securing the preservation of digital resources in the UK and to work with others internationally to secure our global digital memory and knowledge base. Digital Public Library of America (DPLA) - The DPLA Steering Committee is leading the first concrete steps toward the realization of a large-scale digital public library that will make the cultural and scientific record available to all. DSpace Project - The DSpace digital repository system captures, stores, indexes, preserves, and distributes digital research material. Electronic Research Collections (ERC) - A partnership between the United States Department of State and the Federal Depository Library at the Richard J. Daley Library, University of Illinois at Chicago (UIC). ERC has two purposes. First, it is responsible for electronically archived information products produced by State Department from 1990 to 1997. UIC also works to assure that the electronic archives are easily accessible and clearly organized. Second, the UIC depository librarians work with the State Department public affairs staff to answer email questions from the public, and help users find other information sources about U.S. foreign policies and programs. Explore Cornell - A multimedia magazine dedicated to Cornell University research, instruction, and facilities. The mission is to increase public access to the university's most valuable asset: knowledge. Fihrist - Islamic manuscripts catalogue online. The combined holdings of Oxford and Cambridge form the second largest collection of Islamic manuscripts in the UK and are of considerable intellectual significance. Both libraries have been collecting Islamic manuscripts since the 17th century and still continue to acquire manuscripts by donation or through purchase. There are many early and rare items with broad subject coverage including: literature, religion, philosophy, poetry, mathematics, astronomy, and medicine. FIU Digital Commons - A digital repository for capturing, archiving and disseminating the research, creative and scholarly output of the Florida International University community. Harvard University Archives - The institutional archives of the University. It oversees the University's permanent records, collects Harvard-related manuscripts, papers, and historical materials, and supervises records management across the University. Hathi Trust Digital Library - A repository for universities to archive and share their digitized collections. Listing of partners here. Heart Mountain Digital Preservation Project - Features texts and photographs documenting the Heart Mountain Relocation Center. Includes a historical overview with suggested readings. Created by Northwest College, John Taggart Hinckley Library. i2s - Designs, manufactures and sells high-end digitizing systems and restoration software for fragile, old, bound books, for the international electronic document management market. ibiblio - Home to one of the largest "collections of collections" on the Internet, ibiblio.org is a conservancy of freely available information, including software, music, literature, art, history, science, politics, and cultural studies. ibiblio.org is a collaboration of the Center for the Public Domain and The University of North Carolina - Chapel Hill. Information Access Alliance - Over the past two decades, increased concentration in the publishing industry has been accompanied by significant escalation in the price of serials publications, eroding libraries' ability to provide users with the publications they need. Nowhere does this seem more troublesome than in the market for scientific, technical, and medical (STM) journals and legal serial publications where pricing, as well as marketing practices for electronic publications, threatens library budgets and ultimately the widespread availability of important writings to the public. The Information Access Alliance believes a new standard of antitrust review should be adopted by state and federal antitrust enforcement agencies in examining merger transactions in the serials publishing industry. International Internet Preservation Consortium (IIPC) - In July 2003, the U.S. Library of Congress and the national libraries of Australia, Canada, Denmark, Finland, France, Iceland, Italy, Norway, Sweden, the British Library (UK), and the Internet Archive (USA) acknowledged the importance of international collaboration for preserving Internet content for future generations and formed the IIPC. The goals of the Consortium include collecting a rich body of Internet content from around the world and fostering the development and use of common tools, techniques and standards that enable the creation of international archives. International Records Management Trust (IRMT) - Supports developing country requirements for managing official government records. The range of Trust program areas and project work has expanded along with the growth of technological applications and global development concerns such as good governance, accountability, human rights, economic reform, cultural heritage, and sustainable development. Internet Archive (IA) - Offering permanent access for researchers, historians, scholars, and the general public to historical collections that exist in digital format. Includes texts, audio, moving images, and software as well as archived web pages in our collections, and provides specialized services for adaptive reading and information access for the blind and other persons with disabilities. Japanese American Exhibit and Access Project - Focuses on the Camp Harmony assembly center in Puyallup, Washington, and highlights materials documenting the history of Japanese-Canadian internment. From the University of Washington Libraries. Japanese American Museum of San Jose (JAMsj) - Preserves and disseminates the culture and history of Japanese Americans, with a special focus on the Santa Clara Valley. Features photos and oral histories, and also provides educational resources, including films and speakers. Japanese American National Museum, Manabi and Sumi Hirasaki National Resource Center - Links to online collections and resources documenting internment history available at the Japanese American National Museum (JANM), which includes the Civil Liberties Archives and Study Center. Includes incarceration fact sheets and a map of the internment camps, with links to basic data about the camps, chronologies, FAQs, and bibliographic references. Lewis Walpole Library - A research library for eighteenth-century studies and the prime source for the study of Horace Walpole and Strawberry Hill. The Library acquires and makes available to researchers books and other printed texts, manuscripts, prints, drawings, paintings, and decorative arts in Farmington. In addition, the Library facilitates discovery of and access to selected collection materials remotely through Yale's library catalog, online collections, databases, podcasts, and a blog. Luna Imaging - Enables universities, museums, and corporations to build, manage and share digital image collections. Also see Client List. Maastricht McLuhan Institute (MMI) - Its mission is to study and develop methods for knowledge organisation and knowledge management in a digital, distributed, multimedia world. These methods will be applied to cultural heritage, the design of learning technologies and new electronic services for business. The quest is to create comprehensive strategies for searching, structuring, using and presenting digital resources more coherently and efficiently; to integrate past knowledge and to produce ordered knowledge that leads to new understanding and insights. Maine Shared Collections Strategy (MSCS) - Brings together eight of Maine's largest libraries, plus the state's consortium, Maine InfoNet, in an effort to create a strategy for the shared management of print collections in the state. Naropa University Archive Project - Preserving and providing access to over 5000 hours of recordings made at Naropa University in Boulder, Colorado. The library was developed under the auspices of the Jack Kerouac School of Disembodied Poetics (the University's Department of Writing and Poetics) founded in 1974 by poets Anne Waldman and Allen Ginsberg. It contains readings, lectures, performances, seminars, panels and workshops conducted at Naropa by many of the leading figures of the U.S. literary avant-garde. National Archives and Records Administration (NARA) - Independent agency that helps preserve U.S. history by overseeing the management of all U.S. Federal records. Prologue magazine brings readers stories based on the rich holdings and programs of the National Archives across the nation. Also see Locations, Online Exhibits, and Open Government Plan 2016 - 2018 pages. National Association of Government Archives and Records Administrators (NAGARA) - Represents the U.S. government records community in national issues that impact on records management and archival programs. Online Computer Library Center (OCLC) - A global library cooperative. OCLC member libraries are engaged in a unique cooperative venture to further access to the world's information and reduce information costs. OpenAIRE - Open access infrastructure reasearch for Europe. Osler Library Prints Collection (McGill University Library) - Brings together a rich variety of visual documents related to the history of medicine, spanning several centuries, countries, and artistic media. Ranging from the seventeenth to the twentieth century, the collection consists predominantly of prints, though it also includes some photographs, drawings, posters, and cartoons. Medical professionals throughout history are represented largely through portraiture, as well as through caricatures and scenes. The images in this collection, acquired from various donors at different times, are fascinating for both their historical significance and their artistic merit. Straddling the disciplines of art and science, the collection is a valuable resource on the history of medicine and the history of portraiture. Perseus Digital Library (aka Perseus Hopper) - Its flagship collection, under development since 1987, covers the history, literature and culture of the Greco-Roman world. But it is applying what it has learned from Classics to other subjects within the humanities and beyond. The larger mission of Perseus is to make the full record of humanity - linguistic sources, physical artifacts, historical spaces - as intellectually accessible as possible to every human being, regardless of linguistic or cultural background. Professional Records and Information Services Management (PRISM) - Trade association for companies that provide their clients with protection, access, retention, storage and disposal of their vital information. Project Gutenberg - A place where you can download over 33,000 free ebooks to read on your PC, iPad, Kindle, Sony Reader, iPhone, Android or other portable device. Rare Books and Special Collections Digital Library (American University in Cairo) - Supports research and teaching in the arts, culture, and society of Egypt and the Middle East by providing online access to unique cultural heritage resources. RASCAL (Research And Special Collections Available Locally) - Search and browse information about the wide range of research and special collections held in libraries, museums and archives across Northern Ireland. The Directory consists of comprehensive descriptions of collections available to researchers in the humanities and social sciences recording details of content, location, format, and access. Serials in Libraries Discussion Forum (SERIALST) - An an informal electronic forum for most aspects of serials processing in libraries. Appropriate topics include (but are not limited to): cataloging, acquisitions, collection management, serials budgets and pricing concerns, binding, preservation, microfilm and other non print serials media, union list activities, announcements, news, and job postings that are of interest to the serials community. Society of American Archivists (SAA) - U.S. national archival professional association providing leadership to ensure the identification, preservation, and use of the nation's historical record. Also see SAA's Glossary of Archival and Records Terminology. 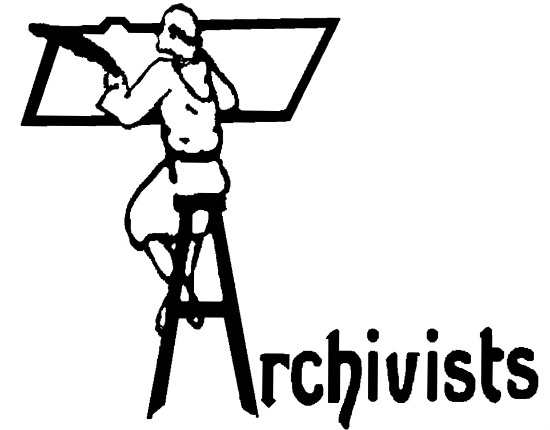 Society of Archivists - Promotes the care and preservation of archives and the better administration of archive repositories, advances the training of its members, and encourages relevant research and publication. Thesaurus Linguae Graecae (TLG) - A research center located at the University of California, Irvine. It is administered by a director who reports to the UCI Vice Chancellor for Research. Founded in 1972 the TLG represents the first effort in the humanities to produce a large digital corpus of literary texts. Since its inception the project has collected and digitized most texts written in Greek from Homer (8 c. B.C.) to the fall of Byzantium in AD 1453 and beyond. Its goal is to create a comprehensive digital library of Greek literature from antiquity to the present era. TLG research activities combine the traditional methodologies of philological and literary study with the most advanced features of information technology. University of Michigan Web Archives - Preserves websites created by academic departments, administrative units, research groups, cultural institutions, student groups, faculty members, and the athletic department at the University of Michigan. Alex - Catalogue of electronic texts, a collection of digital documents in English literature, American literature, and Western philosophy. Bibliomania - Hundreds of searchable full text works of classic fiction, popular fiction, short stories, drama, poetry, dictionaries, research and religious texts, including Brewer's Phrase and Fable, Webster's Dictionary, Simonds History of American Literature, Roget's Thesaurus, A Dictionary of Quotations, The Koran, and more. Boston College Digital Collection - Provides access to rare and unique collections in digitized form. Search all Boston College Digital Collections. Building Digital Collections - The information on this site documents technical activities related to the American Memory Collections produced by the National Digital Library Program (NDLP) at the Library of Congress. California Digital Library (CDL) - University of California's "library without walls". Online Archive of California (OAC), Counting California, Melvyl Catalog, California Periodicals Database, electronic journals, specialized and reference resources. California Heritage Collection - An online archive of more than 30,000 images illustrating California's history and culture, from the collections of the Bancroft Library. Selected from nearly two hundred individual collections, this unique resource uses the latest online archiving techniques to highlight the rich themes of California's history. CalPhotos - Almost 300,000 images of plants, animals, people, and landscapes. CARRIE - A full-text electronic library created by Lynn Nelson, Professor Emeritus of History at the University of Kansas, and managed by Kendall Simmons, Government Documents Library, University of Kansas. Citizen Archivist Dashboard - This interactive site encourages visitors to engage with National Archives records by tagging, transcribing, editing articles, uploading images, and participating in contests. Collect Britain - British Library digitisation project. Digital Library Collections - A gateway to digital projects and online exhibitions that have been published on the web by Columbia University Libraries / Information Services (CUL/IS). The site includes scans of photographs, posters, objects, manuscripts and other material from our special and archival collections. Rare Book and Manuscript Library (RBML) Online Exhibitions - The range of collections in RBML span more than 4,000 years and comprise rare printed works, cylinder seals, cuneiform tablets, papyri, and Coptic ostraca; medieval and renaissance manuscripts; as well as art and realia. Some 500,000 printed books and 14 miles of manuscripts, personal papers, and records form the core of the RBML holdings. One can find literary manuscripts from the 14th century to the papers of authors Herman Wouk and Erica Jong. Archives as varied as the Carnegie Endowment for International Peace, Random House, NGOs such as Human Rights Watch and Amnesty International-USA, and the archives of Columbia University are available for research. The history of printing, graphic arts, and the performing arts are strengths of RBML. Also see Online Exhibitions. Complete Works of Shakespeare - The Web's first edition of the Complete Works of William Shakespeare. Cornell Institute for Digital Collections (CIDC) - Cultural and scientific sources, inclduing: Ancient Art and Architecture, Andrew Dickson White Collection of Architectural Photographs, Collection of Political Americana, Contemporary African Artists, Death of the Father, Digital Himalaya, Fantastic in Art and Fiction, Frick Project, Louis Agassiz Fuertes, Luna Insight, GloPAC/GloPAD, Icelandic and Faroese Photographs of Frederick W. W. Howell, IMAG/CU, Invention & Enterprise: Ezra Cornell, Making of America I & II, MESL Project, Museum Online, Projecting America, Project Harvest, Rome Photo Collection, Saganet Project, Samuel J. May AntiSlavery Collection, Utopia Project. Digital Archive Projects - A listing. Digital Clendening - The largest collections within the Digital Clendaring are the Selection of letters written by Florence Nightingale and its classic images in medicine. Other components include portraits of medical men and women scanned by Christophe Blosser and Robert Chaplin; the Ralph Herman Major photograph and slide collection of historical medical sites, figures, and artifacts organized by Janice Lee; Chinese Public Health Posters; Japanese Medical Prints; the Samuel J. Crumbine papers; and the Rudolf Virchow manuscripts. Digital Library and Archives (DLA) - A collaboration of the Virginia Polytechnic Institute and State University (VirginiaTech) community to create online resources such as electronic journals and to use library services such as electronic reserve centralized access to course materials. In addition, DLA designs and maintains systems including those for electronic theses and dissertations and digital images. Special Collections, including rare books, manuscript collections, and the University Archives, collects and preserves unique historical materials, providing access to them in their original form online. Digital Scriptorium - A growing image database of medieval and renaissance manuscripts that unites scattered resources from many institutions into an international tool for teaching and scholarly research. Dime Novels and Penny Dreadfuls - Stanford's Dime Novel and Story Paper Collection consists of over 8,000 individual items, and includes long runs of the major dime novel series (Frank Leslie's Boys of America, Happy Days, Beadle's New York Dime Library, etc.) and equally strong holdings of story papers like the New York Ledger and Saturday Night. Dramas of Haymarket, The - Examines selected materials from the Chicago Historical Society's soon-to-be-completed Haymarket Affair Digital Collection, an electronic archive of CHS's extraordinary Haymarket holdings. Duke University Libraries: Digital Collections - Providing access to Duke's unique library and archival materials for teaching, learning, and research at Duke and worldwide. DSpace - As a joint project of MIT Libraries and the Hewlett-Packard Company, DSpace provides stable long-term storage needed to house the digital products of MIT faculty and researchers. End of Term Web Archive - Contains federal government websites (.gov, .mil, etc) in the Legislative, Executive, or Judicial branches of the U.S. government. Websites that were at risk of changing (i.e., whitehouse.gov) or disappearing altogether during government transitions are captured. Local or state government websites, or any other site not part of the federal government domain are not within the scope of this project. Eserver - Website hundreds of writers, artists, editors and scholars gather to publish and discuss their works (over 30,000 in all). ExLibris - A comprehensive directory of special collections libraries that support digitization and make content such as manuscripts, art images, and electronic texts available over the Internet. Glasgow Digital Library - Organized digital collections of material relating to social, political, and economic conditions, events, people and actions in Glasgow, Scotland. Hawaiian Newspapers, War Records and Trust Territory Image Collections - Images of Hawaiian language newspapers published from 1834 to 1948; war-time photographs from the Hawai'i War Records Depository (HWRD), which was created in 1943 to document the impact of the war upon Hawai'i and its populace; and Trust Territory of the Pacific Islands archive of photographs (including the Micronesian archipelagoes of the Marshalls, Carolines and Marianas during the U.S. administrative period from 1947 to 1994) visually documenting the U.S. administration's programs in education, health, political and economic development. ibiblio - Home to one of the largest "collections of collections" on the Internet. A conservancy of freely available information, including software, music, literature, art, history, science, politics, and cultural studies. International Federation of Library Associations and Institutions (IFLA) - The IFLA is the leading international body representing the interests of library and information services and their users. It is the global voice of the library and information profession. Links archived by the IFLA at it's old site (here) include electronic resources for bibliography, electronic journals, electronic text, electronic media, electronic text research centres, refereed electronic publications, and preprint archives. Also see new IFLA news and publications. New York Public Library Digital Collections - Provides free and open access to thousands of The New York Public Library's digitized images, taken from the Research Libraries' collections. This site is a living database with new materials added every day, featuring prints, photographs, maps, manuscripts, streaming video, and more. Internet Archive - Founded to build an Internet library, with the purpose of offering permanent access for researchers, historians, and scholars to historical collections that exist in digital format. Iincludes texts, audio, moving images, and software as well as archived web pages in its collections. Internet Classics Archive - Select from a list of 441 works of classical literature by 59 different authors, including user-driven commentary. Library Genesis - A search engine for articles and books on various topics, which allows free access to content that is otherwise paywalled or not digitized elsewhere... guerilla open access opposing the privatization of knowledge. Media Resources Center (MRC) - MRC is the University of California, Berkeley library's primary collection of materials in electronic non-print (audio and visual) formats. The formats found in MRC include videocassettes and video discs; Digital Versatile Discs (DVD); compact audio discs; audiocassettes; slides; and computer software, including interactive multimedia materials. The permanent collection of the Center comprises materials in a wide range of subject fields, with emphasis on titles which have interdisciplinary interest. The collection includes dramatic performances, literary adaptations, speeches, lectures and events, documentaries, including one of the strongest collections of works by independent film and video makers in the US. Virtually every currently-available video version of Shakespeare's plays; major PBS series; radio documentaries and interviews from the Pacific Archives and National Public Radio, and an excellent study-level collection of international cinema works are just a few of the resources you will find in the Media Center. Memory of the World - The vision of the Memory of the World is that the world's documentary heritage belongs to all, should be fully preserved and protected for all and, with due recognition of cultural mores and practicalities, should be permanently accessible to all without hindrance. Legislative and other limitations on the accessibility of archives are recognised. Cultural sensitivities, including indigeneous communities' custodianship of their materials, and their guardianship of access is honoured. Modern Painters I - Electronic edition of John Ruskin's Modern Painters I. The present edition includes 2,500 facsimile pages from the significant editions published in Ruskin's lifetime, a complete collation of varients (see textual notes), details about selections used in other publications, extensive information on the critical ceception of Modern Painters, over three hundred images of works of art, and over a quarter of a million words of annotations on a wide variety of topics. New York Public Library (NYPL) Digital Gallery - Provides free and open access to over 700,000 images digitized from the The New York Public Library's vast collections, including illuminated manuscripts, historical maps, vintage posters, rare prints, photographs and more. New York Public Library (NYPL) Picture Collection - A collection of 30,000 digitized images from books, magazines and newspapers as well as original photographs, prints and postcards, mostly created before 1923. Images of New York City, costume, design, American history and other subjects. New Zealand Digital Library - Provides several document collections, including historical documents, humanitarian and development information, computer science technical reports and bibliographies, literary works, and magazines. OASIS: Online Archival Search Information System - Provides centralized access to a growing percentage of finding aids for archival and manuscript collections at Harvard University. Online Archive of California (OAC) - A digital information resource that facilitates and provides access to materials such as manuscripts, photographs, and works of art held in libraries, museums, archives, and other institutions across California. Primary sources include letters, diaries, manuscripts, legal and financial records, photographs and other pictorial items, maps, architectural and engineering records, artwork, scientific logbooks, electronic records, sound recordings, oral histories artifacts and ephemera. On-line Books Page - An index of thousands of on-line books on the Internet. Pointers to significant directories and archives of on-line texts. Online Archive of California (OAC) - Provides free public access to detailed descriptions of primary resource collections maintained by more than 200 contributing institutions including libraries, special collections, archives, historical societies, and museums throughout California and collections maintained by the 10 University of California campuses. Online Medieval and Classical Library - A collection of dozens of important literary works of Classical and Medieval civilization. Oxford Text Archive - Develops, collects, catalogues and preserves electronic literary and linguistic resources for use in higher education, in research, teaching and learning. The OTA also gives advice on the creation and use of these resources. Perseus Digital Library - A non-profit enterprise, located in the Department of the Classics, Tufts University whose goal is to bring a wide range of source materials to as large an audience as possible, including primary sources for the study of ancient Greece and Rome, early modern English literature, history of London, and much more. PictureAustralia - A service hosted by the National Library of Australia to provide a single access point to the digitised pictorial collections of a range of cultural institutions including the Australian War Memorial, the State Library of New South Wales, the State Library of Tasmania and the State Library of Victoria. Project Bartleby - Great books online. Keyword search engine. Project Gutenberg - Information, books and other materials available in forms that computers, programs and people can easily read, use, and search. Psychedelic Sixties, The - 19th Century Precursors, 20th Century Precursors, The Beats: New York, The Beats: San Francisco, The Black Mountain Poets, Ken Kesey & the Merry Prankster, Timothy Leary, 1967, The Civil Rights Movement, The Vietnam War, Rock Music, New York Weighs In, 1968, Social Protest, Illicit Drugs, Hippies, 1969, Four Radical Groups, Protest at the University of Virginia, Woodstock, Posters, Rock Handbills: the University of Virginia Library Department of Special Collections has mined two of its richest literary collections for the items shown here: the Clifton Waller Barrett Library of American Literature and the Marvin Tatum Collection of Contemporary Literature. Ransom Center: Collections - From the Gutenberg Bible to the scripts and costumes of Gone With The Wind, from Joyce's Ulysses to the great works of the modern stage, the Ransom Center's collections are dazzling in their range and stunning in their originality. Also see Ransom Edition newsletter. Recorded Sound Reference Center - Provides access to the commercial and archival audio holdings of the Library of Congress. The collection dates from 1926 when Victor Records donated over 400 discs to the Library's Music Division to supplement its print and manuscript holdings. In the custody of the Motion Picture Broadcasting and Recorded Sound Division since 1978, the collection has grown to include over 2 million items encompassing audio formats from cylinders to CDs. Reed Digital Collections (RDC) - An ever-growing database of over 200,000 works of art, photographs, maps, theses, videos, and other primary source and archival documents. Content is generated from the Reed College Special Collections and Archives, the Visual Resources Center, and from academic departments across the campus. Russian Archives Online - Russian archival collections of photographs and films, audio, clips and transcripts from the 15 republics of the former Soviet Union, including Russia, Ukraine, Georgia and many more. Scholarly Electronic Publishing Bibliography - Presents over 3,800 articles, books, and a limited number of other textual sources that are useful in understanding scholarly electronic publishing efforts on the Internet. It covers digital copyright, digital libraries, digital preservation, digital rights management, digital repositories, economic issues, electronic books and texts, electronic serials, license agreements, metadata, publisher issues, open access, and other related topics. The bibliography is selective. All included works are in English. The bibliography does not include digital media works (such as MP3 files), e-mail messages, letters to the editor, presentation slides or transcripts, unpublished e-prints, or weblog postings. Most sources have been published from 1990 through the present; however, a limited number of key sources published prior to 1990 are also included. The Children's Literature Web Guide - Internet resources related to books for children and young adults. Documenting the American South (DocSouth) - A digital publishing initiative that provides Internet access to texts, images, and audio files related to southern history, literature, and culture. Currently DocSouth includes fourteen thematic collections of books, diaries, posters, artifacts, letters, oral history interviews, and songs. Early Canadiana Online - The first large-scale online collection of early Canadian print heritage. It currently offers twelve online collections totalling over three million pages of digitized content and is continually expanding. Electronic Text Collections - A directory to etext resources. Making of America - A digital library of primary sources in American social history from the antebellum period through reconstruction. Online Books Page - Listing over 1 million free books on the Web. Project Libellus - An ongoing attempt to provide a library of classical Latin (and Greek) texts with minimal redistribution restrictions. The archive is physically located at the University of Washington, Seattle, and is currently being run by Konrad Schroder and Owen Ewald. Project Runeberg - A volunteer effort to create free electronic editions of classic Nordic (Scandinavian) literature and make them openly available over the Internet. Renascence Editions - An online repository of works printed in English between the years 1477 and 1799. Scholar's Lab at the University of Virginia - Caters to the digital research and scholarly analysis needs of faculty and advanced students in the humanities and social sciences. Southwestern Classics On-line - Many of the classic books about Texas and the Southwest are largely inaccessible to all but a few collectors, or to hard-core historians willing to commit the time and expense to travel to a few major libraries. In an attempt to make these books available to a wider range of students and interested readers, this site undertakes the task of digitizing some of them. Many are over 100 years old, and contain a wealth of history and accounts written by the pioneers who experienced the early history first hand. Tibetan Book of the Dead - University of Virginia Library special collections exhibition of sacred Tibetan texts on death and dying. Traveling Culture: Circuit Chautauqua in the 20th Century - This digital collection presents 7,949 publicity brochures, promotional advertisements and talent circulars for some 4,546 performers who were part of the Chautauqua circuit. These talent brochures are drawn from the Records of the Redpath Lyceum Bureau, held by the University of Iowa Libraries. One of the largest booking agencies for the Chautauqua performers, the Redpath bureau managed a vast talent pool. UC Press E-Books Collection, 1982-2004 - Includes almost 2,000 books from academic presses on a range of topics, including art, science, history, music, religion, and fiction. Access to the entire collection of electronic books is open to all University of California faculty, staff, and students, while more than 500 of the titles are available to the public. Universal Digital Library - Carnegie Mellon University project to make available all the authored works of mankind so anyone can access these works via the Internet from any place at any time. Million book collection. University of California Press Journals + Digital Publishing - Electronic editions of selected UC Press electronic publications. University of Missouri-Columbia Libraries: Digital Library Collections - Rare books, manuscripts and digital guides. University of Washington Libraries' Digital Collections - See Special Collections for rare materials and a major center for the study of the Pacific Northwest, photographs, travel and exploration, architecture, book arts, 19th-century American literature, 20th-century American and English literature. Also see listing of All Collections and listing by Topics. Virginia Tech Image Database - Historical resources unique to southwest Virginia. Visual Arts Data Service (VADS) - A searchable on-line archive of digital resources for use by the visual arts community, especially higher education, for teaching, learning and research. Numerous arts, design, and fashion collections are already online. Wayback Machine - Allows browsing of web documents over multiple time periods. The Site Search feature of the Wayback Machine is based on an index built by evaluating terms from hundreds of billions of links to the homepages of more than 350 million sites. Search results are ranked by the number of captures in the Wayback and the number of relevant links to the site's homepage. WebExhibits - High quality exhibits - from the general interest to the highly academic - on the web. Wellcome Library - Collections of books, manuscripts, archives, films and pictures on the history of medicine from the earliest times to the present day. Western European Studies Section (WESS) - Promotes the improvement of library services supporting study and research in Western European affairs from ancient times to the present. World Digital Library (WDL) - Makes available on the Internet, free of charge and in multilingual format, significant primary materials from countries and cultures around the world, including manuscripts, maps, rare books, musical scores, recordings, films, prints, photographs, architectural drawings, and other significant cultural materials. WDL partners are mainly libraries, archives, or other institutions that have collections of cultural content that they contribute to the WDL. World Public Library Collection - Project Gutenberg Consortia Center's Blackmask Online collection includes 15,000 PDF eBooks. The World Public Library Blackmask Online is one of the most complete single online collections of classic literature. All of the eBooks have been beautifully digitally re-mastered from its original. All 15,000 files are included in the WPL search engine. A separate title list can be generated by using the search engine results page. Yale Digitized Content - Provides a way to search across Yale's collections of art, natural history, books, and maps, as well as photos, audio, and video documenting people, places, and events that form part of Yale's institutional identity and contribution to scholarship. This webpage last updated on Sunday, April 7, 2019 10:32 AM.